Managed Hosting is an extension of dedicated hosting, but one where the day-to-day management and maintenance of the servers is handled by us here at Burstfire. Will Managed Hosting suit my business? Managed Hosting plans are maintenance free, which makes them perfect for anyone whose time is best spent running their business, not the technology behind it. Dedicated Server Plans offer more control and flexibility, but require the expertise and time required to manage them yourself. Both provide your own server, the only difference is who runs it. Save yourself the time and effort it takes to manage a dedicated server by letting our expert staff do it for you. Our Managed Hosting professionals will personally set up your server and install the approved web applications you need for blogging, eCommerce, managing customer contacts. We also take care of all virus-scanning and security, leaving you to focus on your business. Managed Site Hosting provides you with a dedicated enterprise level server and 24-hour support. If you are planning to host a commercial site with more than 20GB a month, or you need the maximum possible level of stability, you’ll need a hosting solution of this type. 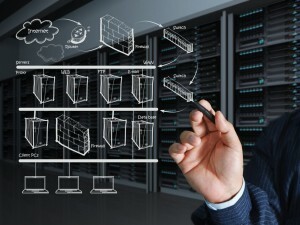 From our low-cost shared web hosting service, through to custom, highly-available n-tier hosting deployments all the way to large-scale, hybrid cloud hosting solutions designed to scale seamlessly with your business, Burstfire provides fully accountable, expertly managed web hosting – right up to your code.